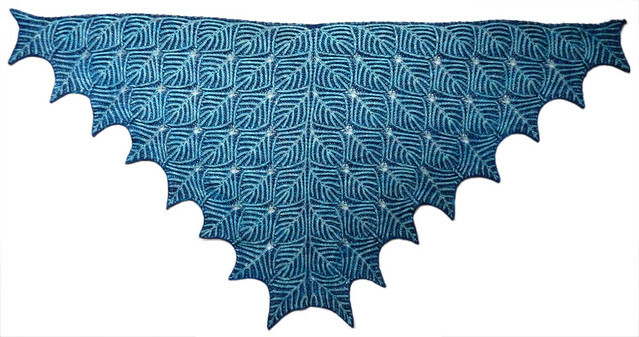 Nancy Marchant has designed a beautiful lace shawl using brioche stitch (of course!). 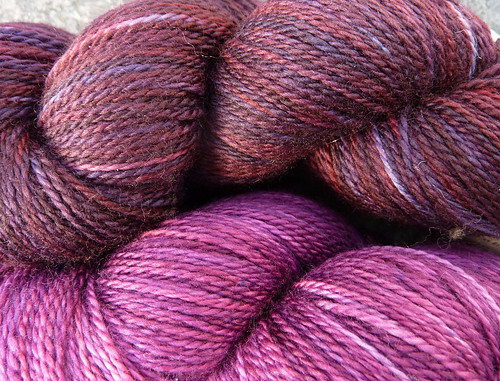 Krista of Pigeonroof Studios has produced amazing hand dyed yarns in a heavy lace weight. 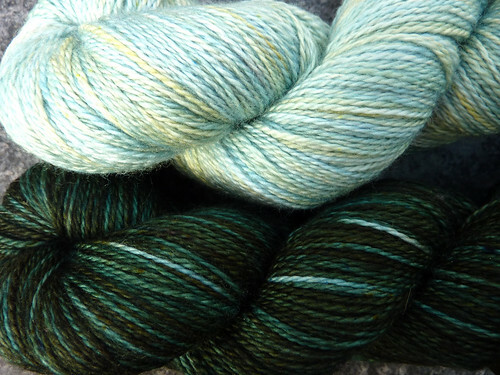 Put the two together and you get Under Dutch Skies brioche lace shawl kits! 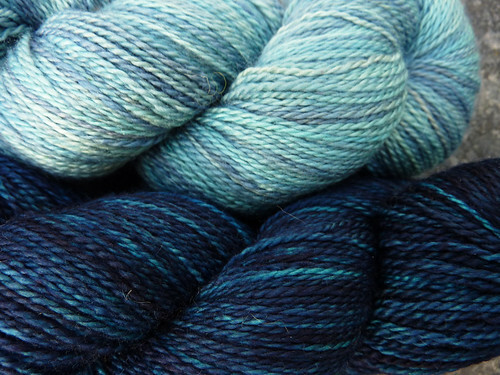 Now available from Yarns Apart, kits are available in 5 color sets: blue, green, gold, burgundy and turquoise. You should have some experience knitting brioche (you can find information at Nancy’s site here) before starting this shawl. 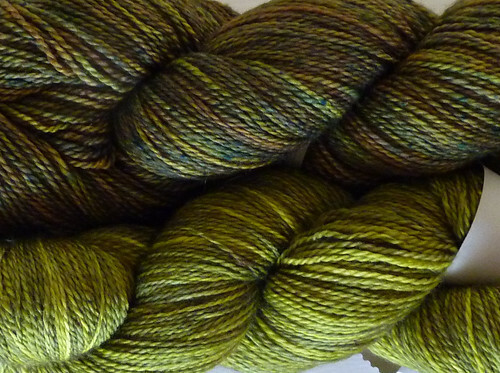 It looks complicated, but is only a series of increases and decreases in two-color brioche. The results are stunning! Hmmph! 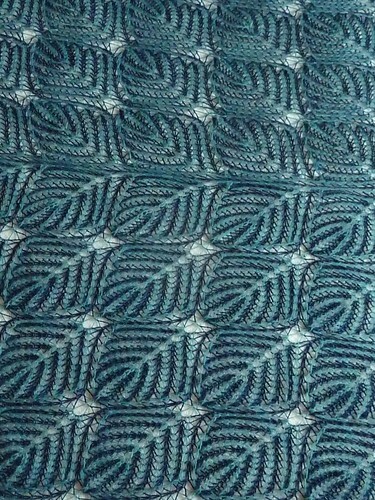 Wishing I was clever enough to do this shawl..it looks absoloutely amazing. Still, my knitting skills are improving slowly..maybe I wil attempt basic brioche this year. 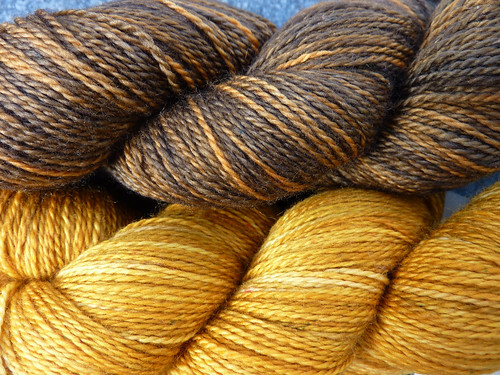 Drool-worthy yarns!!! That is a stunning shawl.